Besides knowing all about what you should avoid eating during pregnancy, we want to share with you three of the best foods for you and your baby, since they have plenty of protein, vitamins, and minerals. Eggs provide a great amount of protein, and over 12 vitamins and minerals, making them essential for your pregnancy. Eggs are considered a high-quality protein, since they come from an animal, and are filled with amino acids, which will be helpful to your baby’s development. On the other hand, eggs contain a lot of choline (also known as vitamin B), which is helpful when your baby’s just beginning to develop his or her spine and brain. According to the National Academy of Sciences of the United States of America, it’s ideal to consume around 450mg of choline during pregnancy. Natural Yoghurt contains lots of calcium! Your baby will need it in order to have strong bones and teeth, along with a healthy heart, nerves, and muscles. If you don’t eat enough calcium while you’re pregnant, your baby will end up taking it from your bones, which could take a toll on your health. Along with having the minerals that your body deems necessary, one of the greatest advantages of yogurt is that it’s very easy to digest and helps fight constipation. Salmon is one of the most recommended meals during pregnancy since it has proteins, antioxidants, and most importantly, omega 3. In the last few years, it has been found that Omega 3 is helpful for your baby’s brain development, eye retinas, and nervous system. 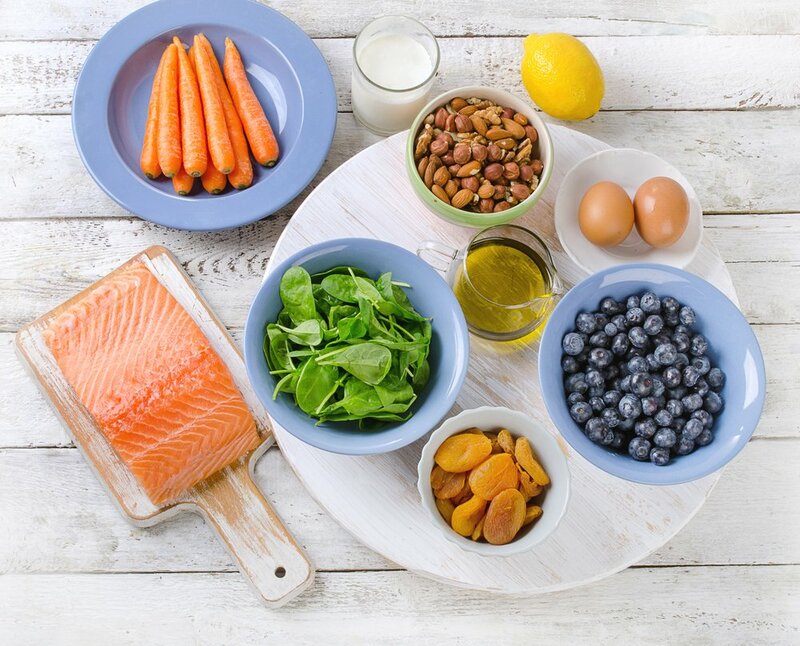 Eating a good amount of omega 3 will help reduce the risks of getting preeclampsia, post-partum depression, and will minimize the probability of early delivery. Keep these habits up so your baby grows healthy and strong!